A large part of Theodore M. Berry’s work in obtaining equality for African Americans in Ohio and especially in Cincinnati centered on the electoral process. 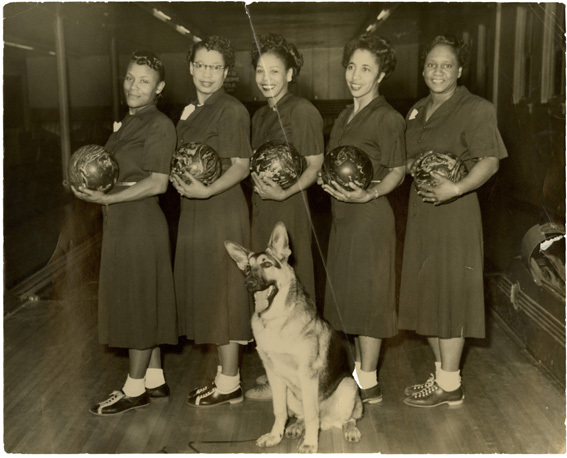 The “Berry Backers” frequently ran “Get out the Vote” type events throughout the 1940s and 1950s, using the lure of bowling tournaments and visiting speakers like Dr. Martin Luther King, Jr. to encourage blacks to work with the systems in place and become involved in the political process. It should then come as no surprise that Berry spent many years fighting for what he believed to be the fairest system of voting – proportional representation. The intent of proportional representation voting systems is to ensure that each group within the electorate is represented according to its percentage of the total population. For example, according to Kathleen Barber’s book Proportional Representation and Election Reform in Ohio, in the Cincinnati City Council election before PR was put into place Republicans won 55% of the overall vote, yet had 97% of the seats in council, thus greatly exaggerating their influence beyond their actual popularity among voters. This sort of thing happens when a city is divided into voting districts and the electorate in each of those districts votes even 50.1% in favor of one party over another. If one contrasts that with the first PR election in which the Republicans won 27.8% of the overall vote and 33.3% of the seats on City Council, and the Charterite party won 63.8% of the overall vote and 66.7% of the seats on City Council, it is easy to understand what PR does. As for the how: this result is achieved by allowing each voter to number his/her choices for council according to preference. If a person’s first choice candidate already has enough votes for a seat on council, that person’s vote then goes to his/her second, third or fourth choice. For example, if the first choice were David, the second choice were Marcia and the third choice were Alex, but both David and Marcia already had the requisite number of votes to be elected, the vote would then go to Alex instead of being effectively wasted by going to a candidate who has already won. There is no denying that Proportional representation (PR) is a confusing system. There have been numerous newspaper articles on Cincinnati’s particular brand of PR, as well as few articles on other types of systems in use all over the world today. None seem to truly explain exactly why or, sometimes, even how it works. Berry’s position was that a PR system in a diverse community such as Cincinnati would not only affect proportional representation of political powers, but that it would ensure representation of minorities as well. Much of the available evidence supports this claim, particularly here in Cincinnati. PR was adopted here in the 1924, and in 1927 the first African American was put on the ballot, Frank A. B. Hall. Hall unsuccessfully ran twice as an independent and finally won after the GOP agreed to sponsor his candidacy in 1931. In the years following, Jesse Locker was also elected on the GOP ticket and Theodore M. Berry was elected as a Charterite in 1949. These councilmen then were able to give voice to a large and previously unrepresented segment of the population. However, aggressive campaigns by the local GOP, which had failed in 1936, 1939, 1947 and 1954, eventually succeeded and repealed PR in 1957. Neither Berry nor any other black candidate was elected that year. Admittedly, PR does have its drawbacks, most notably in its level of complexity which leaves many voters wondering where their votes will go, how they will get there, and why, but Berry believed that these objections could be overcome. For most of his career, he fought to reinstate Proportional Representation.